It’s been one year since the first People behind Debian interview. For this special occasion, I wanted a special guest… and I’m happy that our Debian Project Leader (DPL)—Stefano Zacchiroli—accepted my invitation. He has a difficult role in the community, but he’s doing a really great job of it. He’s a great mediator in difficult situations, but he’s also opinionated and can push a discussion towards a conclusion. Read on to learn how he became a Debian developer and later DPL, what he’s excited about in the next Debian release, and much more. Stefano: I’m Stefano Zacchiroli, but I prefer to be called Zack, both on the Internet and in real life. I’m 32, Italian, emigrated to France about 4 years ago. I live in Paris, and I find it to be one of the most gorgeous and exciting cities in the world. As my day job I’m a Computer Science researcher and teacher at University Paris Diderot and IRILL. In my copious free time™ I contribute to Debian, and I’m firmly convinced that doing so is an effective way to help the cause of Free Software. Besides, I find it to be a lot of fun! Stefano: Flash back to 1999, when I was a 2nd year student in Computer Science at the University of Bologna. Back then in Italy it was uncommon for young geeks to get exposed to Free Software: Internet was way less pervasive than today and most computer magazines didn’t pay much attention to GNU/Linux. Luckily for me, the professor in charge of the student lab was a Free Software enthusiast and all students machines there were running Debian. Not only that, but there was also a student program that allowed volunteers to become sysadmins after having shown their skills and convinced the director they were trustworthy. Becoming one of those volunteer Debian admins quickly became one of my top objectives for the year, and that is were I’ve learned using Debian. The year after that, I got in touch with a research group that was to become the happy bunch of hackers with whom I would have done both my master and PhD theses. They were designing a new proof assistant. Most of the development was in OCaml and happened on Debian. OCaml was available in Debian, but many of the libraries we needed were not. So I approached the Debian OCaml Team offering to help. Before I realize what was going on I was (co-)maintainer of tens of OCaml-related packages. At some point I got told “I think you should apply as a Debian Developer”. So I did and in a couple of months I went through the New Member (NM) process, that was back then in its infancy. I still remember my happiness while reading the “account created” mail, the day after my 22nd birthday. I know the NM process went through some bad publicity in the past, but I’m happy to see that nowadays the process can be as swift as it has been for me 10 years ago. Raphael: It’s your second year as Debian Project Leader (DPL). Are you feeling more productive in the role? Do you fear to burn out? Stefano: I’m feeling way more productive, no doubts. The task of the Debian Project Leader is not necessarily difficult, but it is a complex and scarcely documented one. It is also profoundly different from any other task that Debian people usually work on, so that experience doesn’t help much in getting started. Before becoming effective as DPL one needs to get to know many people and mechanisms he is not familiar with. More importantly, one needs to set up a personal work-flow that allows to keep up with day-to-day DPL tasks (which are aplenty) as well as with urgencies (that tend to pop-up in the leader@debian.org INBOX at the least convenient time). Finally, one also needs to do proper “traffic shaping” and always retain enough “motivation bandwidth” to keep the Project informed about what is going on in DPL-land. Finding the right balance among all these ingredients can take some time. Once one is past it, everything goes way more smoothly. The above is why I’m constantly encouraging people interested in running for DPL in the future to reach out to me and work on some tasks of the current DPL’s TODO list. I swear it is not just a cheap attempt at slavery!. It is rather an attempt at DPL mentoring that could be beneficial: both to give future candidates more awareness of the task, and to reduce the potential downtime when handing over from one DPL to the next. Regarding burn out, I don’t feel prone to its risk these days. If I look back, I can say that my contributions as DPL have been pretty constant in volume over time; my enthusiasm for the task, if anything, is on the rise. The effectiveness of my contributions as DPL are, on the other hand, not mine to judge. Raphael: If you had to single out two achievements where you were involved as DPL, what would they be? Dialogue with derivatives. When I became DPL ~1.5 years ago the situation on that front was pretty dire. In the specific case of Ubuntu, by far the most successful and customized of all Debian derivatives, I remember being scared of raising the topic of collaboration with them on mailing lists. More generally, we had no specific initiatives to foster technical collaboration with and among derivatives. 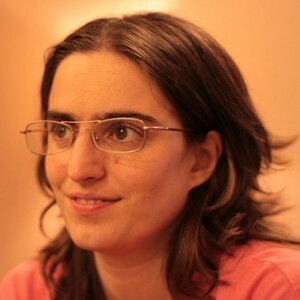 A huge potential of (forwarded) contributions to Debian was being wasted. Today things look much better, as I’ve documented in recent talks at DebConf11 and UDS-P. The amount of forwarded patches we receive from downstream is at its maximum and many people who apply to become Debian Developers come from derivatives. Conflict situations still exist, for good reasons that we still have to either fix or figure out entirely. But I’m positive we’re on the right track. This is by far not an achievement of mine alone. In particular, many of the activity of the Derivatives Front Desk have been organized by other enthusiastic volunteers. But I’ve done my part, especially in breaking the ice and in proposing a vision of Free Software distribution where all distros play a role and are welcome to join the game, as long as they give back and give credit to their respective upstreams. Process membership. I’m proud of having promoted the general resolution (GR) that has clarified (and advertised to the world) that Debian welcomes all kind of contributions, and that they all equally matter to become proper members of the Project. I notice only now while writing this that the GR title, traditionally chosen by the secretary, was “Debian Project Members”. That choice harmonically closes the circle with the recent renaming of the NM process to “New Member” process. Today, we have several project members (AKA “Debian Developers”) that are active citizen of Debian with voting rights, even though they take care of tasks other than packaging. Anyone can become a Debian citizen, as long as they are ready to abide by Debian’s values, have a track record of verifiable contributions to Debian, and are committed to keep them coming in the future. Once gain, this is by far not an achievement of mine alone, very little project-wide achievements are. DAM has helped a lot and support from the project as a whole has been immense. OK, let me cheat and add a third one… I’m also proud of having been able to report to the Project my whereabouts as DPL, thoroughly and periodically, since the very beginning is first term. People annoyed by my reporting logorrhea now have all my sympathies. 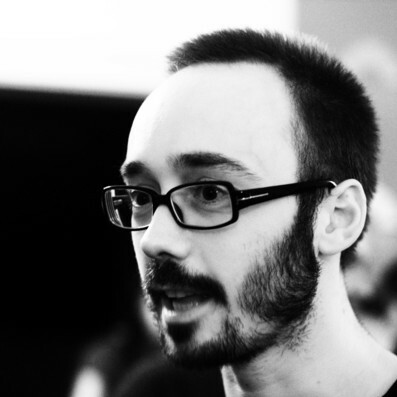 Raphael: Among the possible new features of Debian Wheezy, which one gets you excited most? Stefano: It’s multi-arch, no doubt. Even though it is not a directly user visible change, it’s a very far reaching one. It is also one of those changes that make me feel that moment of truth of coders, when you realize you are finally doing the right thing and ditching piles of ugly hacks. Raphael: If you were not DPL and could spend all your time on Debian, what project would you do? Stefano: I would sit down and do software development for Debian. It’s impressive how many important and beneficial changes for Debian could be delivered by specific software improvements in various parts of our infrastructure. We tend to attract many packagers, but not so many people willing to maintain Debian infrastructure softwares like dak, britney, debbugs, the PTS, etc. Their maintenance burden then falls on the shoulders of the respective teams which are generally very busy with other important tasks. 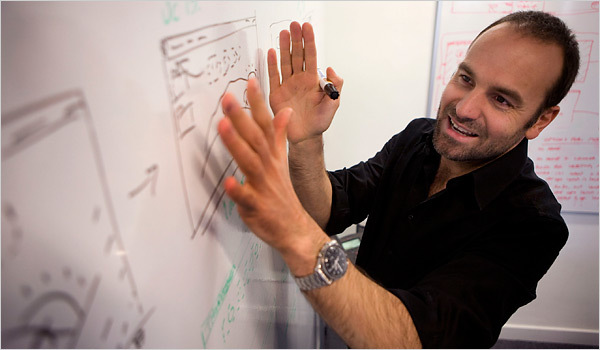 As a project, we seem to be more appealing to packagers than to software developers. That is a pity given the amount of exciting coding tasks that are everywhere in Debian. Part of the reason we are not appealing to developers is that we are not particularly good at collecting coding tasks in a place where interested developers could easily pick them up. It also takes quite a bit of inside knowledge to spot infrastructure bugs and understand how to fix them. I long for some spare hacking time to check if I’m still good enough of a coder to hunt down longstanding bugs in our infrastructure, which have ended up being my pet peeves. I’d also love to dive again into RCBW. It’s less committing than package maintenance, more diverse and challenging, and also an immensely useful activity to get Debian releases done. 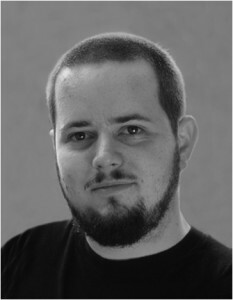 Raphael: Martin Michlmayr is worried that there is so few paid opportunities around Debian. Do you agree with his sentiment, and if yes do you have ideas on how to improve this situation? Stefano: The idealistic me wishes Debian to be a community made only of volunteers that devote their free time to the Project. Oh, and that me also wishes Debian to be competitive with similar projects, no matter how many full-time employees others have! That is coherent with a view of society where everyone has a day job, but also engages in volunteering activities ensuring that public interest is pursued by people motivated by interests other than profit. But I do realize that for Free Software to succeed companies, employees, and salaries should all have a role. I admire projects that strike a good balance between volunteer and paid work. The Linux kernel is emblematic in that respect: many developers are paid by companies that have a commercial or strategic interest in Linux. Nevertheless volunteers contributions are aplenty and the Linux community gives a convincing impression that choices are driven by the community itself (or by its benevolent dictator) without money-driven impositions. Such an ecosystem does not exist around Debian. We do have a partner program that allows for it to happen, but we have very few partners with an interest in doing distribution development work. Like Martin, I’m worried by this state of affairs, because it de facto means we lag behind in terms of available people power. In a community of volunteers, that might frustrate people and that is not good. To improve over the status quo the first step is to federate together small and medium companies that have a strategic interest in Debian and listen to their needs. I’m already in touch with representatives of such companies that, in many cases, already employ Debian Developers to do some distribution work in Debian. We will be soon sending out a call to reach out to more such companies, but since we are discussing this, why waiting? If some of our readers here are representative of such companies, I encourage them to get in touch with me about this. Raphael: You know that the fundraising campaign for the Debian Administrator’s Handbook is on good track but the liberation of the book is not yet assured. What do you think of this project? Stefano: I’m happy about the project, to the point that I’ve accepted writing a testimonial for it 🙂 . 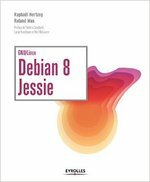 I’m sad about the scarce availability of up to date and high quality (DFSG-)Free books about Debian and I welcome any initiative that might help closing that gap. Free Culture is a great offspring of Free Software and I’m convinced we need to stand up against double standards in the two camps. Letting aside software-specific licensing details, the basic freedoms to be defended are the same. They are those freedoms that ensure that a reader is in full control of his book, pretty much as they ensure that a computer user is in full control of the software that runs on it. I’m therefore proud that Debian has long resolved that the Debian Free Software Guidelines (DFSG) apply not only to software but also to books and other pieces of documentation. But the status quo implies that not only we have very few up to date, high quality books about Debian. It also implies that, at present, we have no such book that we can distribute in the Debian archive, showing off the Free Software (and Free Culture!) values we stand for. Crowdfunding is considered to be a good mate for Free Culture, where the services model that applies to Free Software is more difficult to exploit. I so wish any luck to yours and Roland’s initiative. A different matter is whether Debian, as a project, should endorse the initiative and actively campaign for it. As you know, I think it should not. While we do advertise general project donations, we don’t do mission-specific fundraising campaign for Debian itself. Coherently with that, I don’t think we should relay crowdfunding campaigns for 3rd parties, even when the result would be beneficial to Debian. Those with an uncanny ability to guide discussions towards constructive conclusions. We are lucky to have many in Debian and I admire all of them. Having to single out one I’d name Russ Allbery, in honor of whom I hereby propose the periodic “Russ Allbery’s Distinguished Flametamer Award”. People stepping up for responsibility roles, especially when the responsibility put them in tough spots. Release teams, ftp-masters, DSA, DAM, as well as past and present members of teams with similarly “hot” seats have all my admiration. Thank you to Zack for the time spent answering my questions. I hope you enjoyed reading his answers as I did.